Lee & Beulah Moor Children’s Home » New Play Structure is Done!!! Hooray! 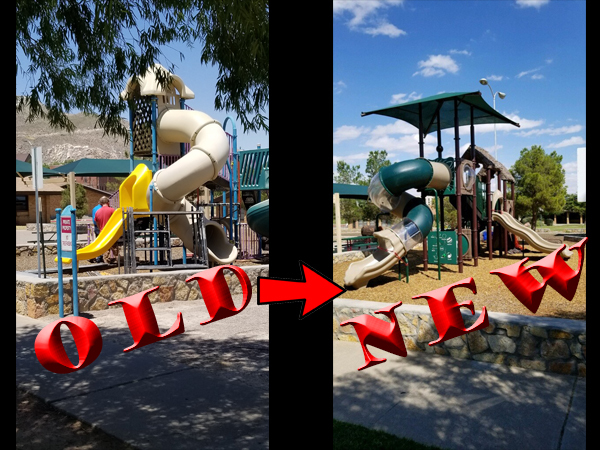 The new play structure is done and we could not have done it without you El Paso! After several months of fundraising, designing and rebuilding, the new play structure is up and ready. 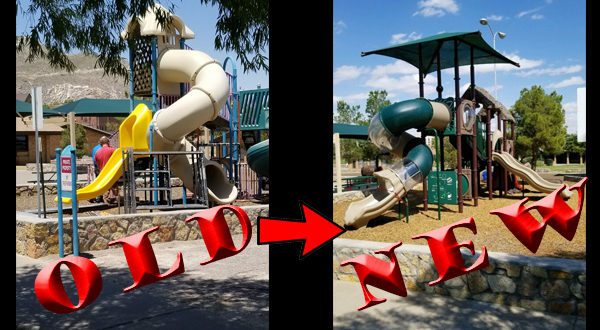 The previous structure was built in 1992 and after many years of use and several thousand happy children enjoying outdoor play, it was in need of repairs or replacement. With the help of the El Paso community and Playground Constructors, the children of LBMCH have a new, tree house inspired play structure to enjoy for many years to come. The children of Lee & Beulah Moor Children’s Home thank you El Paso for such a wonderful gift!